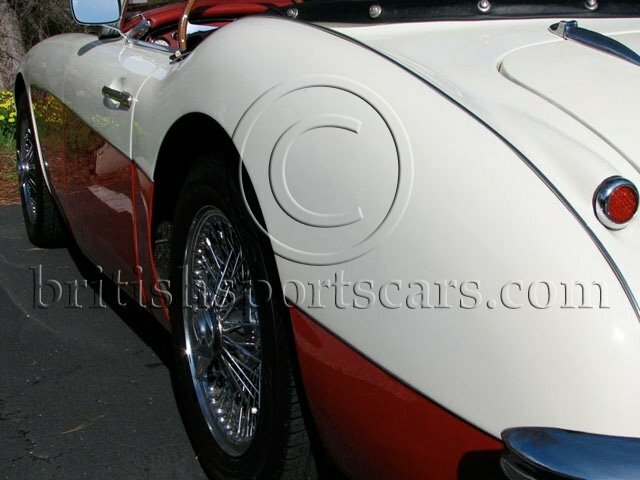 You are looking at a very nice Austin Healey that we have known and serviced for several years. In recent years, the car has gone through a full mechanical and cosmetic restoration with much of the work being done by us. This is a very solid, rust-free car that shows no signs of body damage. The car runs and drives excellent just like it should. The paint and body are very nice with good panel fit and smooth, glossy paint. The interior is all new and done in leather. The car is also fitted with a new soft top. The car comes with a Heritage certificate showing that this car was originally these colors and optioned just the way it is. It is also one of the rare and desirable tri-carb models. We do not see many Healeys come through our doors that are rust-free and look and drive as nice as this car. Please feel free to contact us with any questions you may have.